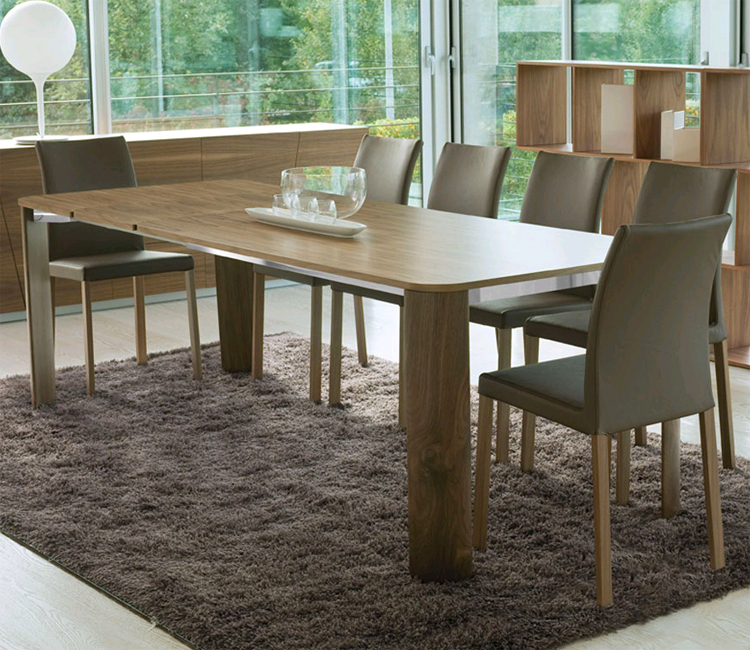 A cool contemporary dining table available in a wide range of finishes. 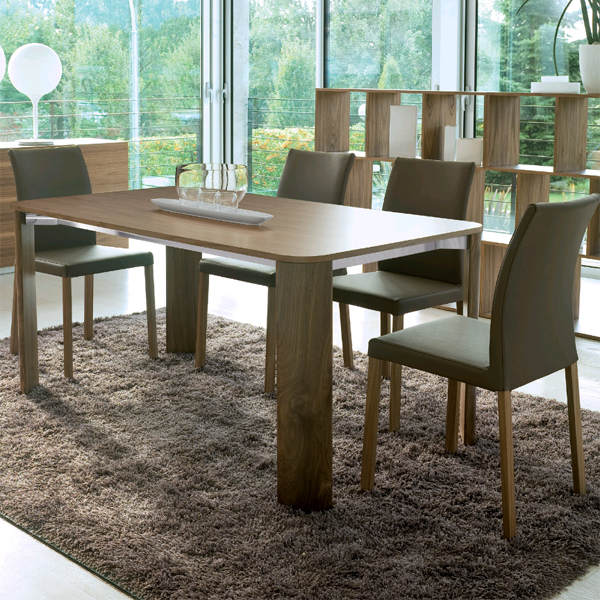 The top can be painted glass or veneered wood, the legs chromed, wood or painted. The extensions are always in wood, either painted or veneered. If you require a leg/top combination that isnt listed please contact us for a specific quote. The legs can also be covered in hide leather on request.